Apparently sourdough bread is my new obsession since I cannot stop posting about it. So what is in your sourdough? 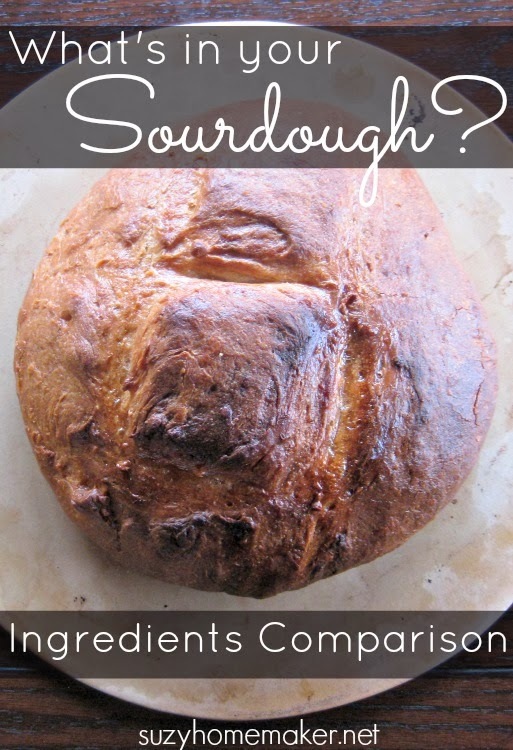 In this post I am comparing the sourdough ingredients from a store-bought loaf vs. a homemade loaf of sourdough bread. I love comparing ingredients from homemade things vs store-bought. Although you can find some great healthy food products with fewer ingredients, most of the time store-bought will include many ingredients, with fillers, flavors, colorings, preservatives, etc. With sourdough bread, this is the case. There is a brand, who shall remain nameless, that makes sourdough bread. It is one of many different types of bread they make. I have a really hard time believing that a large bread company is going to make traditionally fermented sourdough starter for making their loaves of bread. I could be wrong, but I doubt it. Also because looking at the ingredients list, there is an interesting ingredient that is traditionally NOT used in making sourdough. So which ingredient is in the store-bought bread that is a clue that it is not traditional? Yeast. You do not need yeast when you make sourdough bread the traditional way. The whole process of making a sourdough starter is to "catch" natural yeasts in the air. Did you also see high fructose corn syrup? Another ingredient that is great to avoid. Natural Sourdough Flavor? So they added the flavor of sourdough, which means none of the good benefits are there. 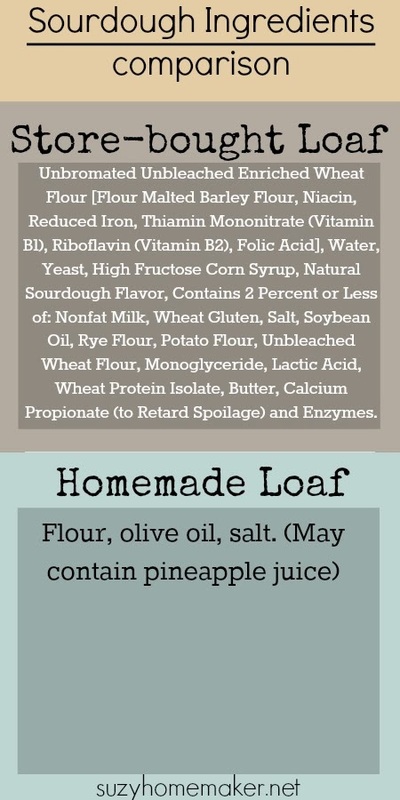 Something as simple as bread should not have 17 ingredients.